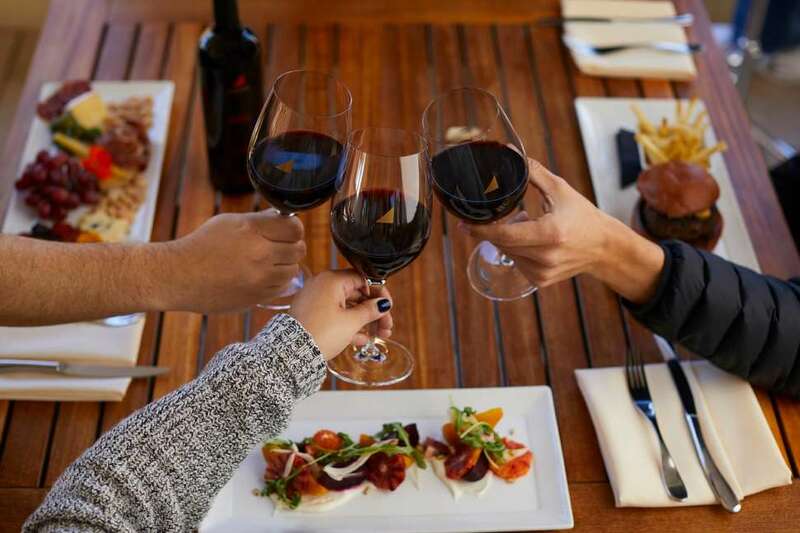 Paso Robles is like the middle child of California wine country; despite its many great producers and tasting rooms, when most people think of a destination for a wine-filled weekend, they tend to think Napa or Sonoma. Take a closer look, though, and you’ll see Paso’s no slouch: Best known for producing Zinfandel, Paso Robles’ 11 distinct wine regions can actually grow up to 60 different varietals (unheard of for a wine region), and are home to world-class wineries with a chill, community vibe. 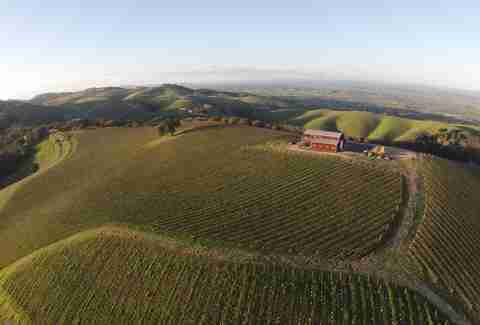 Even better, Paso Robles is only a 60-minute flight into San Luis Obispo from LAX, or a 3 1/2-hour car ride, or a six-hour train ride. Here are the must-try wineries on any trip out to Paso’s wine country, from large-scale producers with storied pedigrees to boutique operations with onsite lodging. Sitting 14 miles from the ocean and 2,200 feet above sea level atop Daou Mountain, the family-owned and -operated DAOU Vineyards is the highest elevation vineyard in the Central Coast. The gorgeous estate has sprawling views of the region and an indoor outdoor tasting room with high-beamed ceilings and beautiful Spanish archways; grab a seat outdoors at the edge of the mountain and enjoy any of the Bordeaux varietals (like a glass of their Soul of a Lion) while noshing on snacks from their Lebanese-inspired menu. Alta Colina (which means “high hill” in Spanish) gets its name from being elevated 1,800 feet above sea level, with optimal sun exposure and an ocean breeze that make ideal conditions for a well-balanced wine. 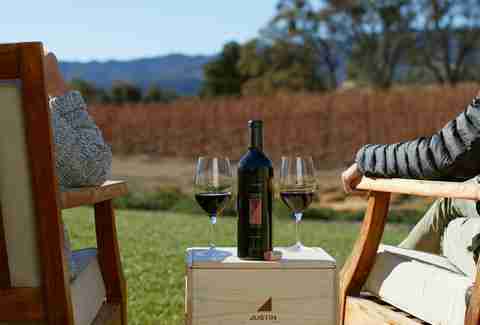 The Adelaida District winery offers a few different choices for visitors interested in tasting: Walk-ins are welcome in the tasting room (up to six guests), but you can also reserve a private tasting in the cellar room and sip on current releases amongst barrels of wine. The pricier (but more picturesque) third option is the Summit Vineyard Tasting, a hidden oasis where you can sit back and enjoy stunning vineyard views on a shaded terrace while watching the sunset over the grape-filled hills. The winery is also home to The Trailer Pond, a private pond surrounded by five retro-colored trailers nestled under string lights -- so if you want to spend the night surrounded by perfectly lined rows of grapes, you can. One of the larger winemakers of the region, JUSTIN produces around 400,000 cases per year, and is best known for award-winning fruity, full-bodied Bordeaux-style wines (like their Isosceles red blend). The Restaurant at JUSTIN features a rotating seasonal menu with local ingredients and popular dishes like the Charter Oak Cheeseburger made with house ground meat. The winery has come a long way in recent years, following a local controversy involving the chopping down of thousands of mature oak trees; since then, they’ve been committed to supporting the local community and have donated to several nonprofit organizations. The winery and tasting room are a bit off the beaten path, so if you can’t make it all the way to their vineyard, word on the street is you’ll soon be able to visit a second tasting room in Downtown Paso Robles. If you like the Funk Zone in Santa Barbara, then you’ll love its Paso Robles cousin, Tin City. The neighborhood gets its name from all the industrial buildings in the area, but this area gets pretty crowded on the weekends because it’s where smaller wine makers, local artisans, and craft breweries have set up shop. One of the first wineries to open a tasting room in Tin City, Giornata produces some excellent wines inspired from Italian regions like Barolo and Barbaresco -- go for the 2017 Barbera, or the 2015 Nebbiolo. If you’re looking for a palate cleanser afterward, cool off with a scoop from Negranti Creamery, a nearby shop that specializes in ice cream made from sheep’s milk. The small-production winery with the signature grasshopper label is located on 52 acres at Kentucky Ranch: a quaint place surrounded by nature that you’d normally expect to find in… well, Kentucky. 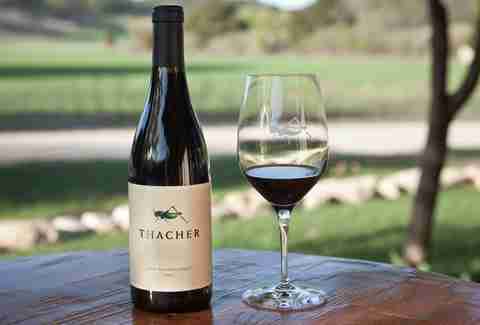 While Paso Robles has historically been known for bold wines, Thacher Winery is leading the way in another direction, creating more subtle wines with a lower alcohol content (some at just 10.5%) that enthusiasts can’t help but love. Their 2015 Cinsault has become a cult-favorite, which you can sample (along with many others) for $15 in the tasting room that sits adjacent to a 1920s-era barn. 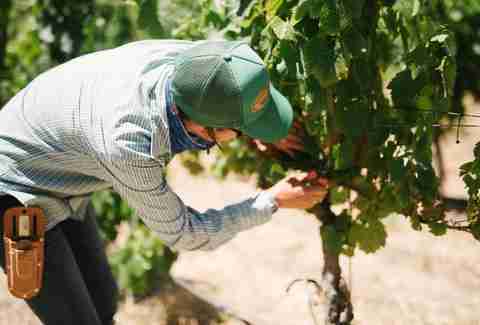 Leila Najafi is convinced she has wine running through her veins. Follow her travel adventures around the world on Instagram and Twitter at @LeilasList to see where she’s sipping on wine next!